You are in bed tucked in your blanket, ready to fall asleep, but the endless cheers, chants, and the sound of horns are hammering your head. You get up and look outside, and see what seems to be a traffic jam or a protest. 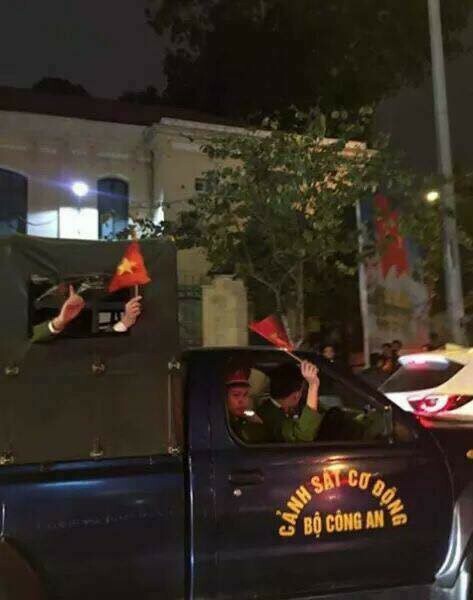 But actually, it’s just the Vietnamese celebrating the victory of our national football team. Football is the world’s most popular sport and it’s called the ‘King Sport’ in Vietnam. Every kid growing up knows about it and probably played it. 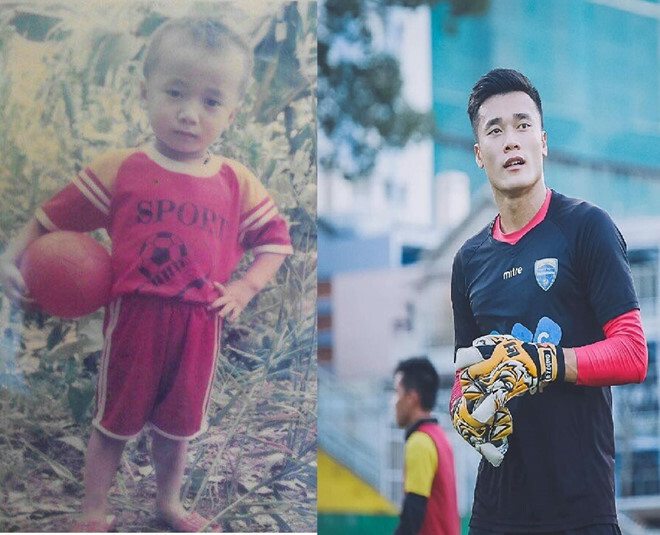 Some of those kids later grow up to play in the national team like the current goalkeeper of our national team, Bui Tien Dung. The sport becomes the essential ‘spiritual meal’ of the Vietnamese people. It’s the national joy when our team wins. Winning here means we don’t need to be at 1st place, being in the quarter-finals is also considered a win for us. 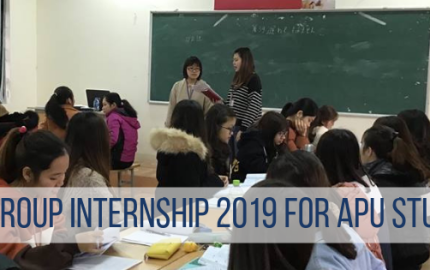 It’s not about the title but it is the chance to show the world that Vietnam also has the potential to reach out to the world and compete with other countries. 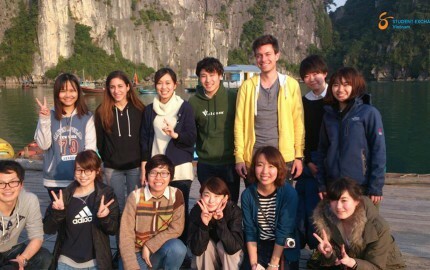 This is the dream of many Vietnamese, to be exposed to different cultures and share our culture with them. The ‘King Sport’ has a tremendous effect on the emotions of many people. All aim to celebrate the victory. 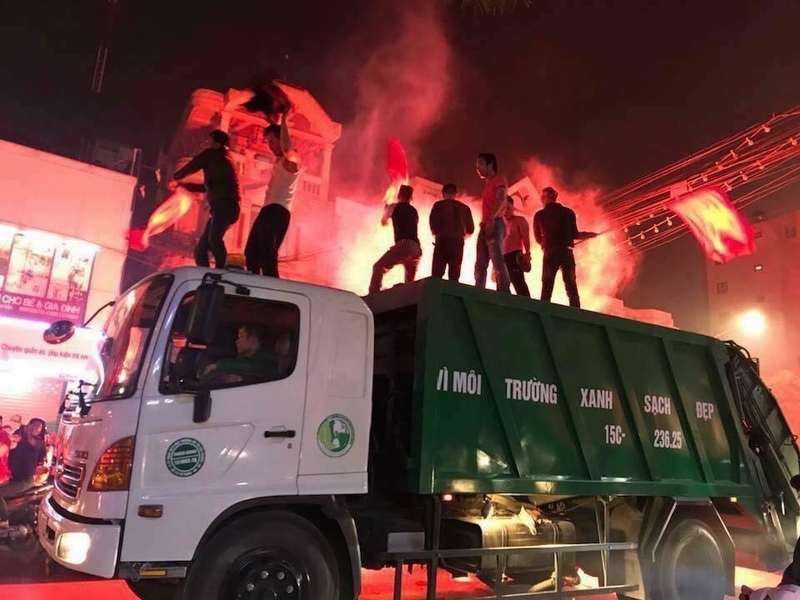 When this happens, expect traffic jams and the ‘human nature’ of the law enforcers because they will also join in the celebration while still trying to keep everything from going overboard. 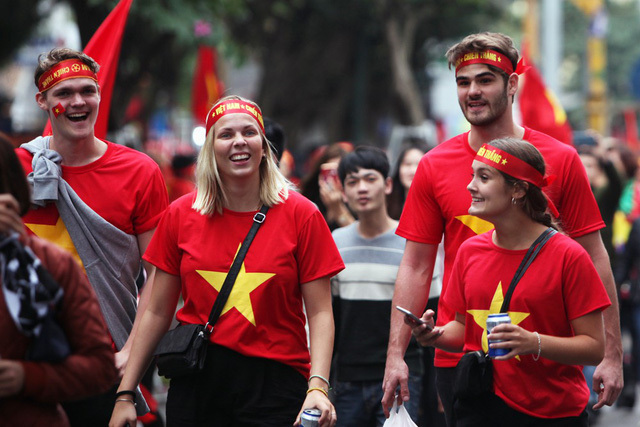 You’ll see many people ride their bikes down the street, some put on Vietnam shirts with the red background and a yellow star in the middle. They also typically carry horns, flags, light-sticks, etc. all for the purpose of celebrating! People who have never seen each other before act as if they haven’t seen their best friend in a very long time. 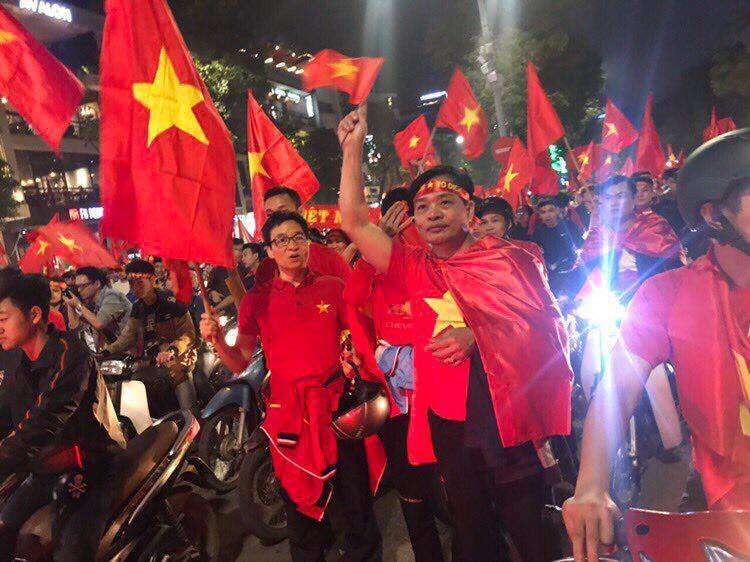 The flow of traffic with people carrying national flags and Vietnam T-shirts, that’s why this is called the ‘Red River’, but all the hype and excitement could make foreigners feel unsafe. But actually, you can join them! There are streets with perfectly safe and clear sidewalks that you can traverse. Thi Nghe Bridge in District 1, Bong Bridge in Binh Thanh District, Cong Ly Bridge in District 1. For the best experience contact a Local Buddy to come with you, but do so during the match. When the match is over and the dam breaks, it’ll be impossible to move around by motorbikes. You should buy a small flag, the right price for a small flag at this time should be less than 60.000 đ (< $3.00 USD). Walk on those sidewalks mentioned above and be careful with your belongings. Times like these, you should travel light, no backpack needed but a camera is a must! Football speaks to the hopes and dreams of 90+ million Vietnamese people. 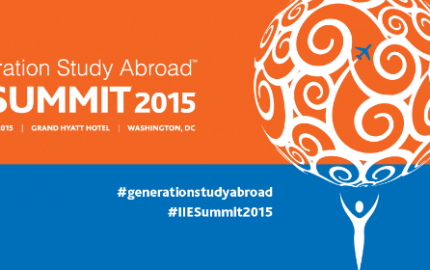 It is our desire to reach out to the world, to feel more, to learn more from various cultures, and share our culture. 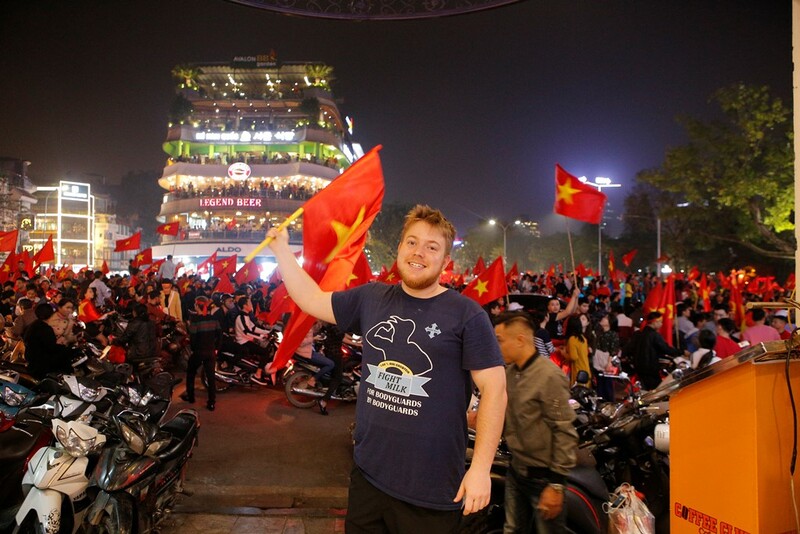 This dream cannot get any stronger than in this generation of youngsters in Vietnam. We love to experience, make new friends, and globalize ourselves, and that also speaks for what we do at Student Exchange Vietnam!